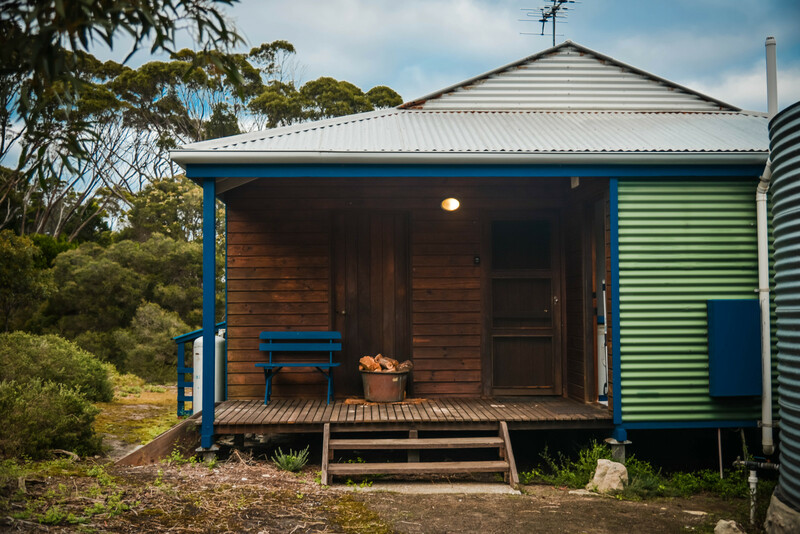 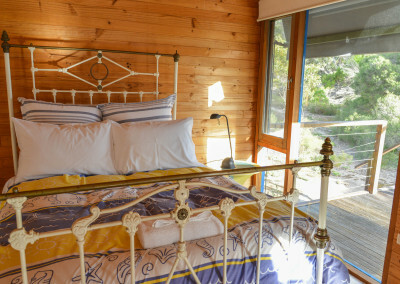 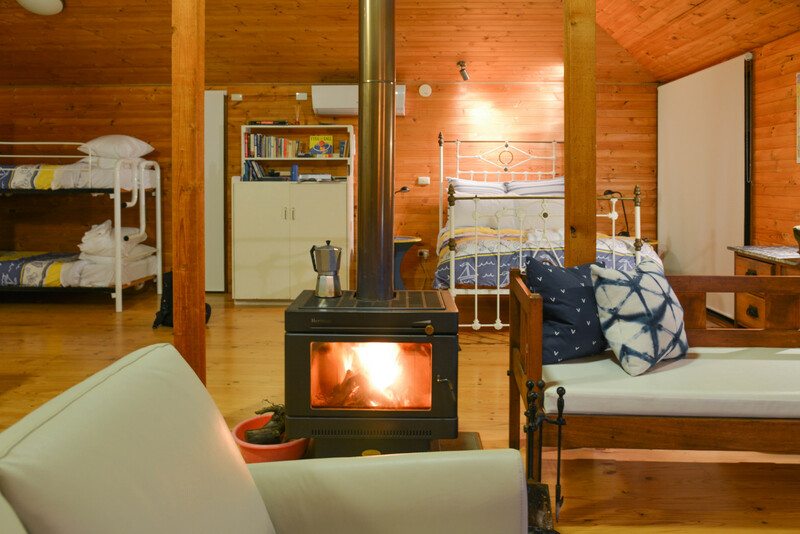 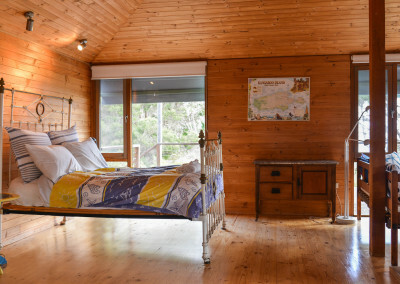 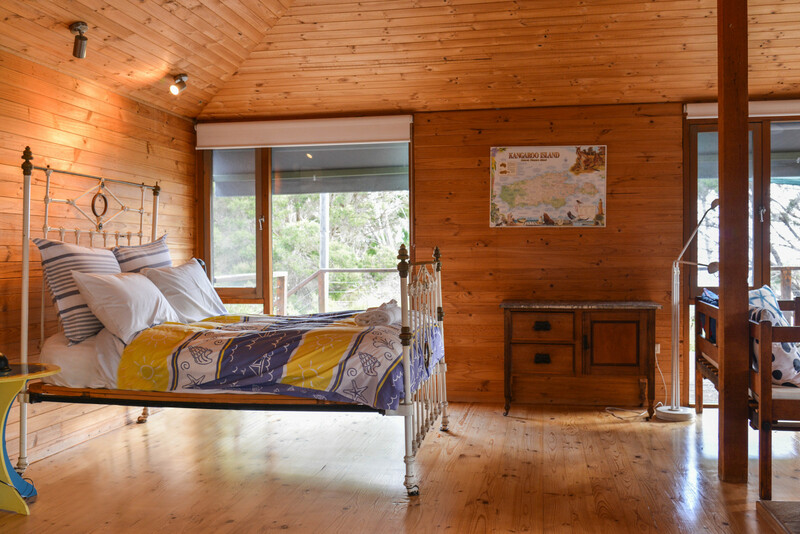 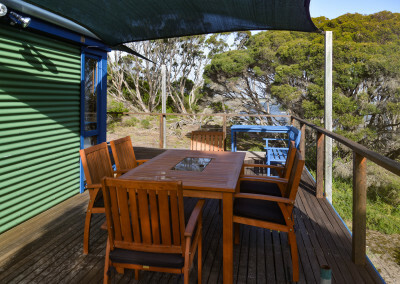 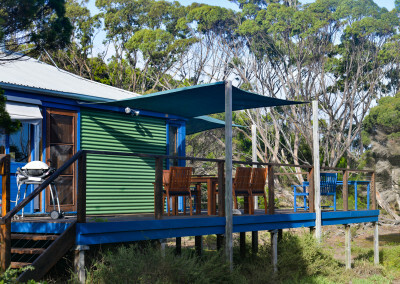 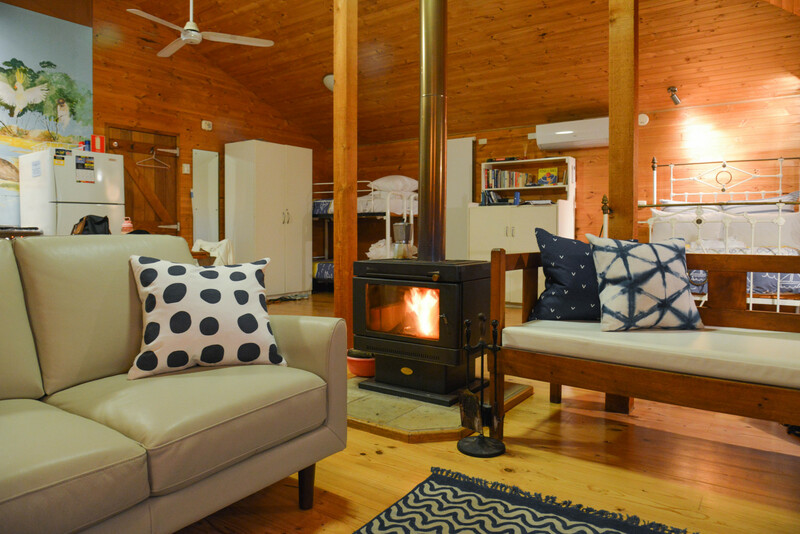 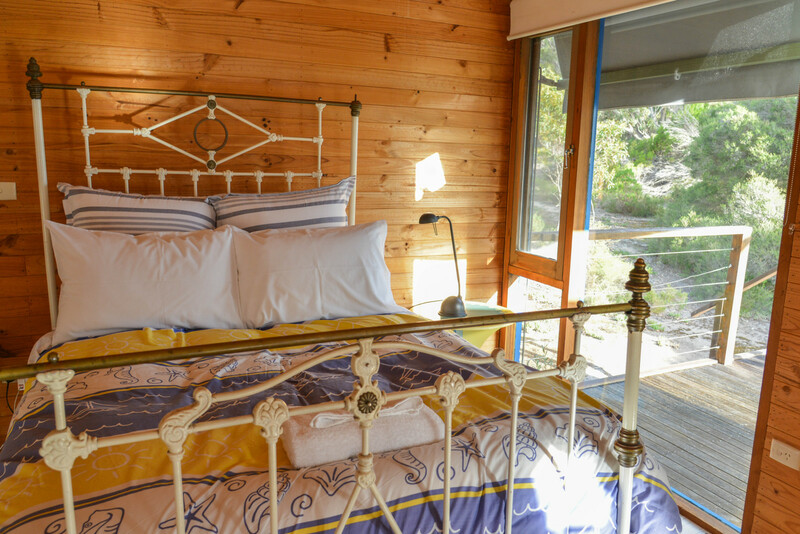 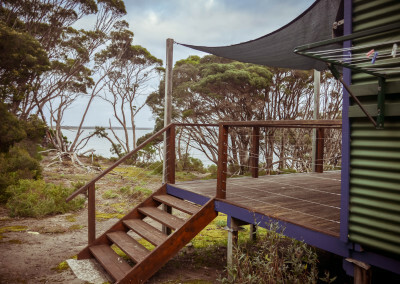 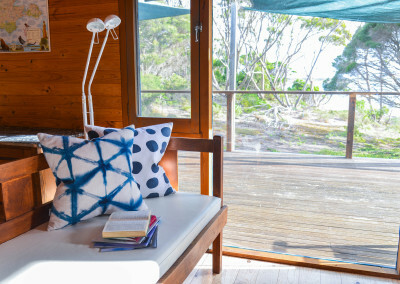 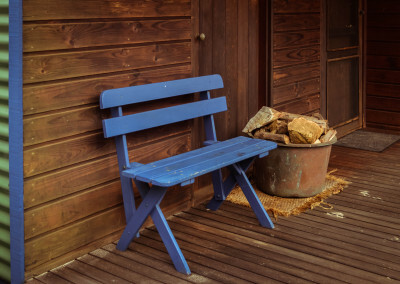 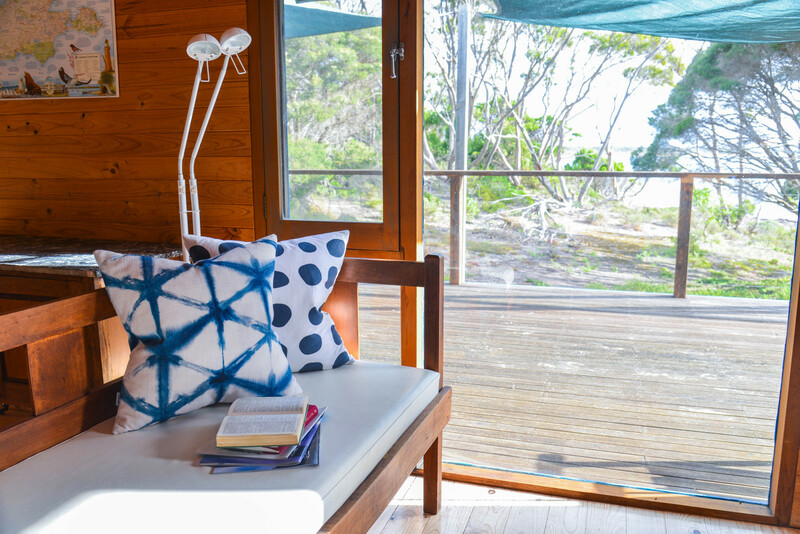 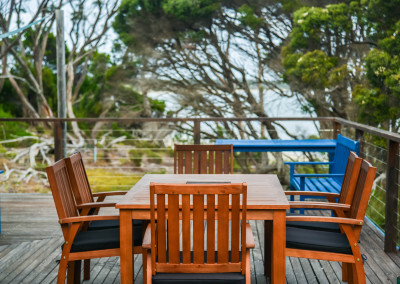 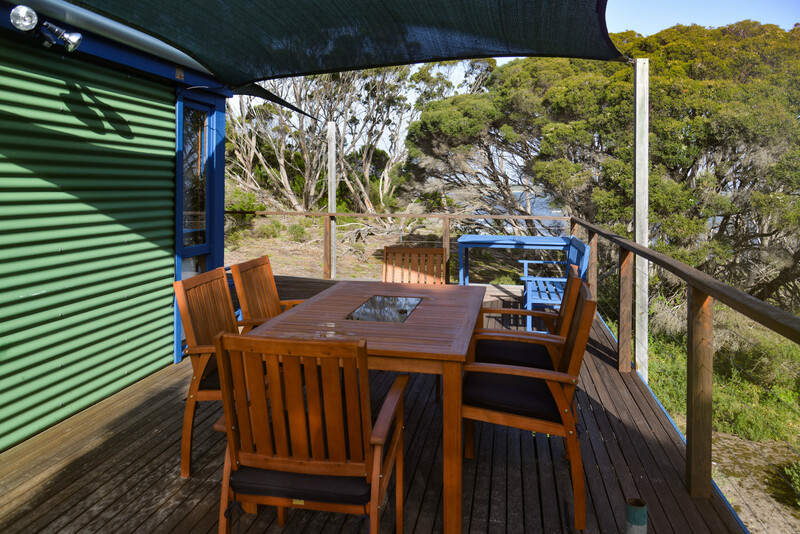 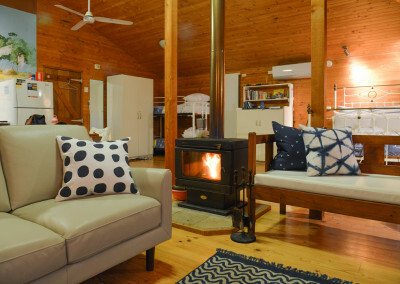 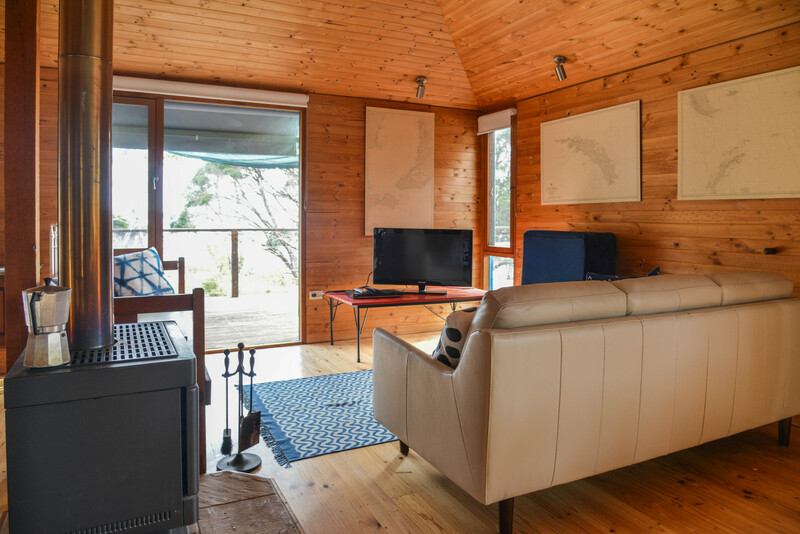 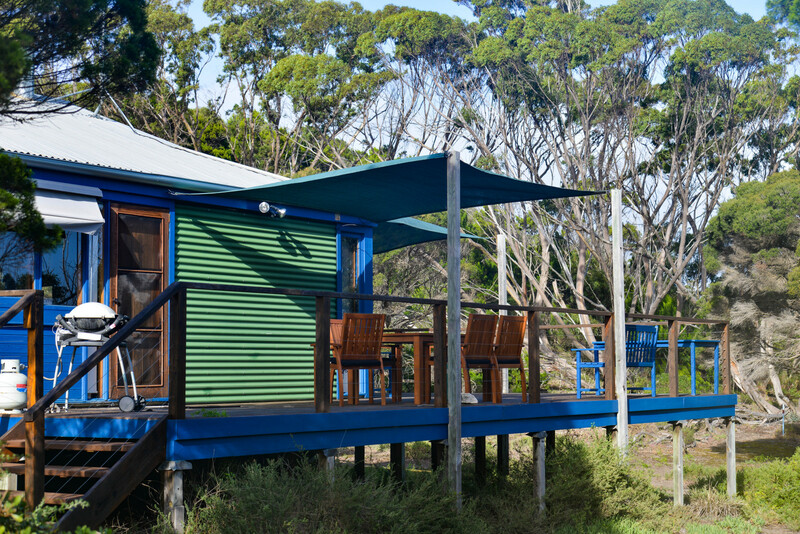 Georgina’s Place offers totally private, secluded Kangaroo Island holiday accommodation. 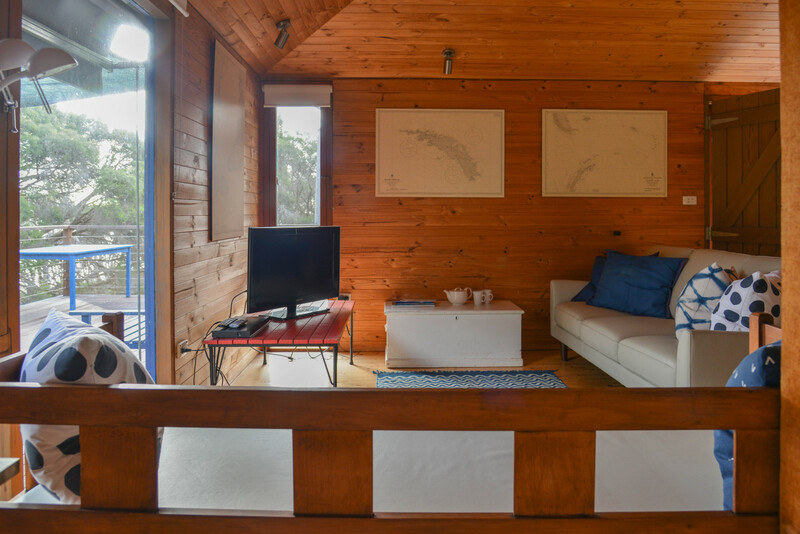 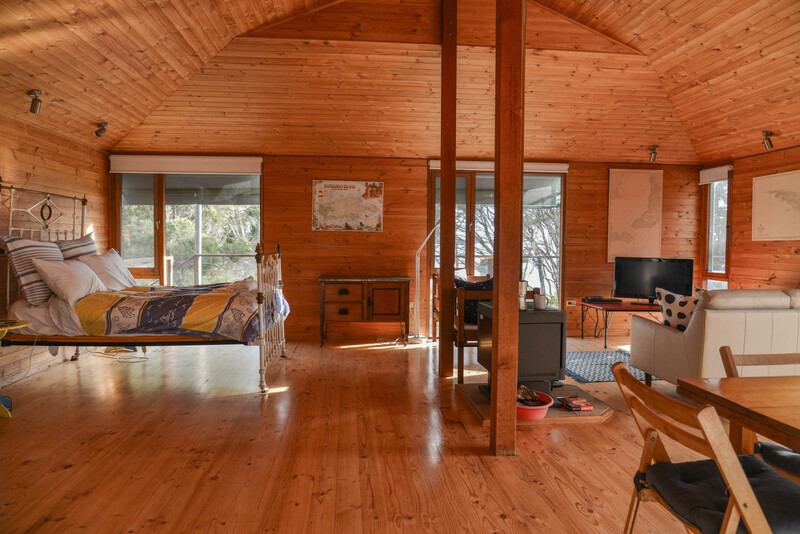 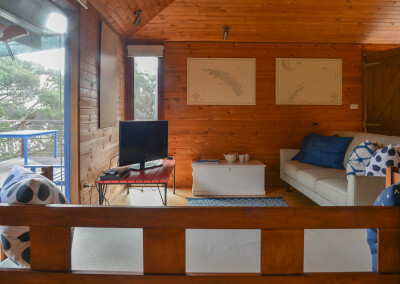 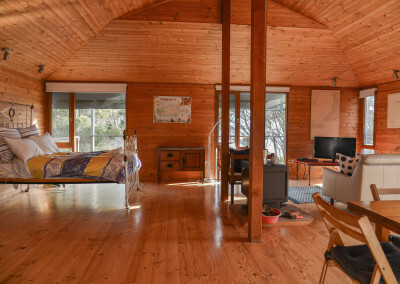 The building is a simple, architect designed, open plan cedar house on stilts. 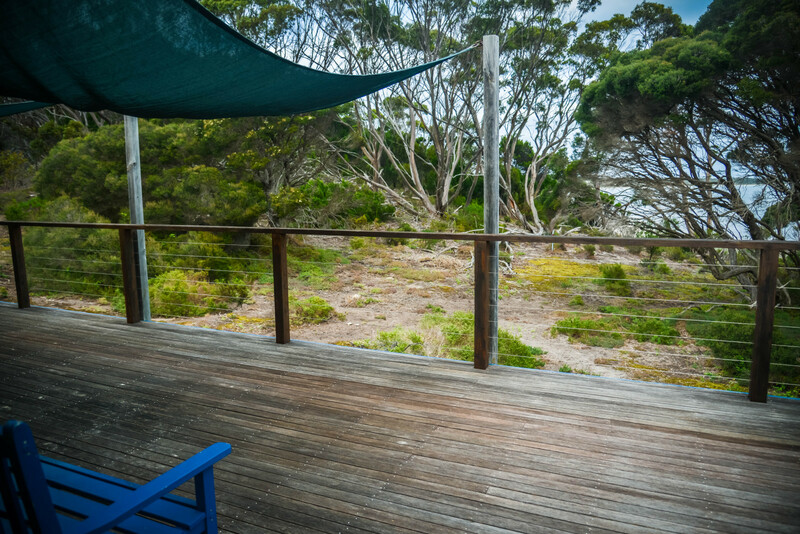 Surrounded on two sides by a 3m wide shaded deck, you look out onto tranquil bushland and is only 20 short paces down to Brown’s Beach. 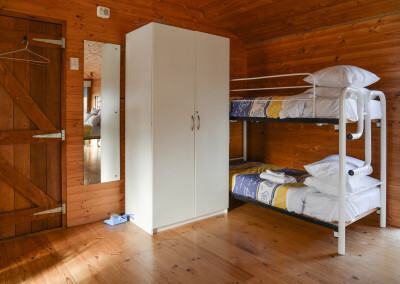 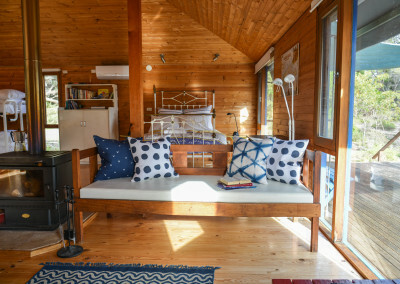 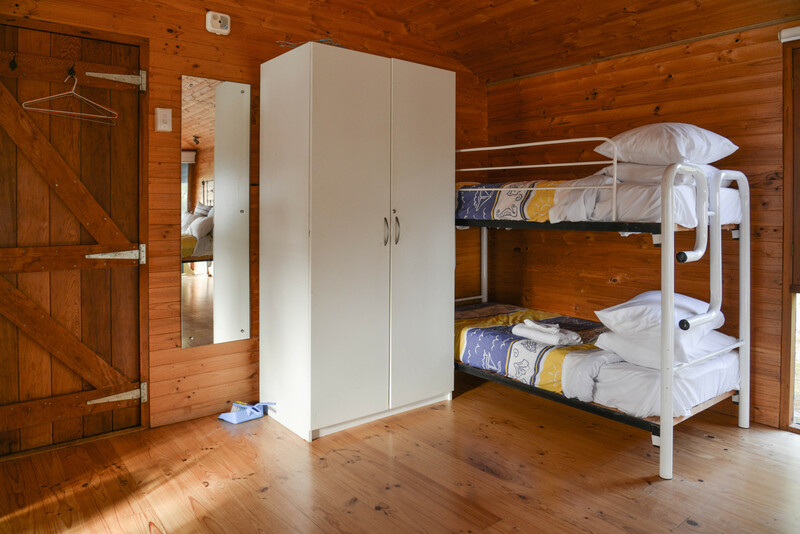 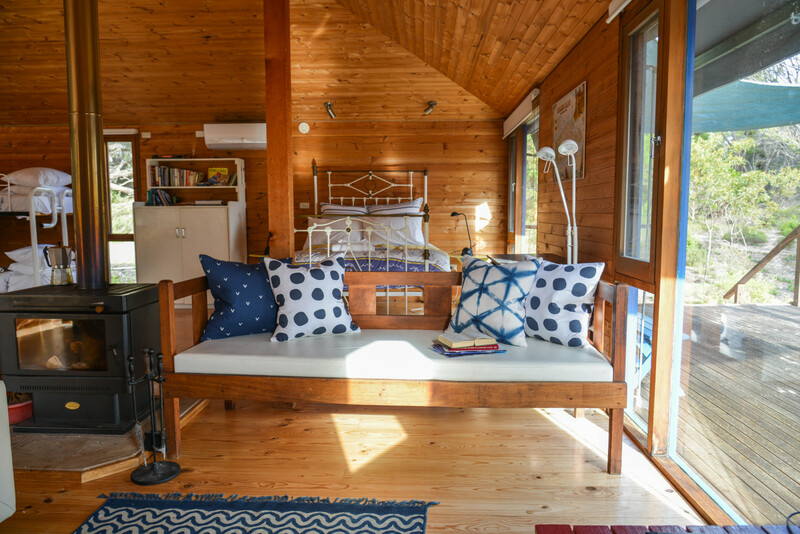 The single space interior has a cast iron double bed and separate bunk, so is ideal for accommodating a couple or small family. 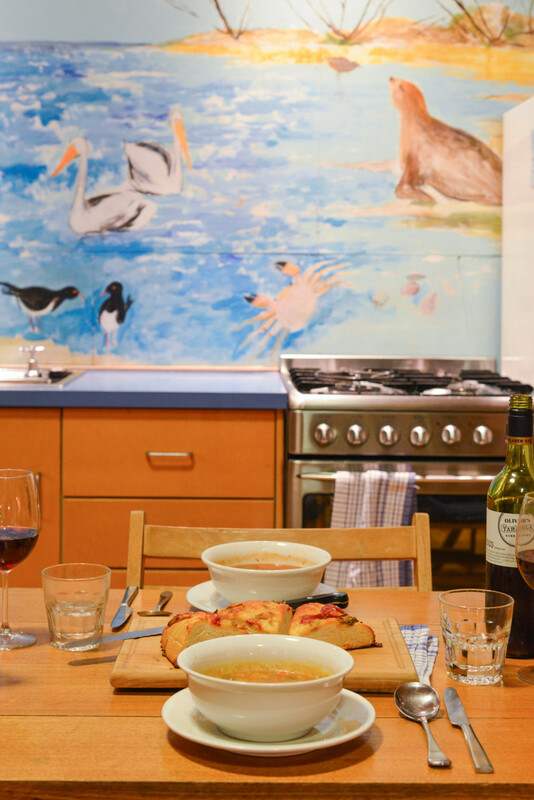 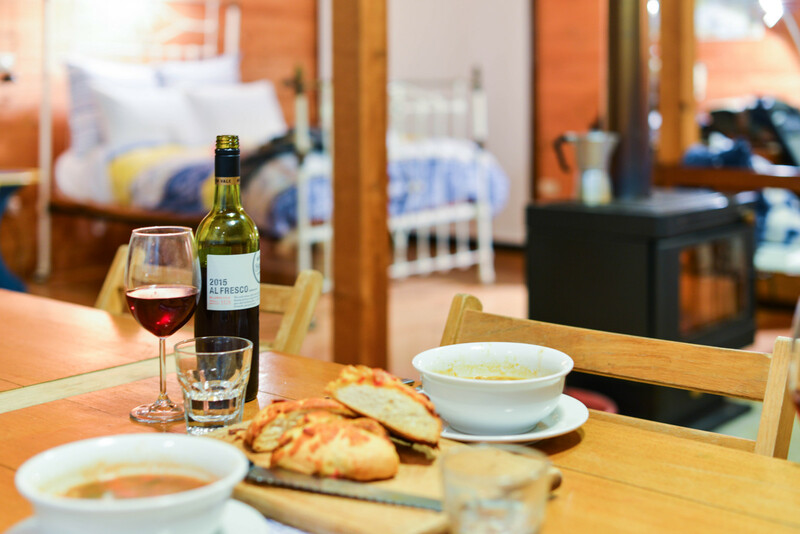 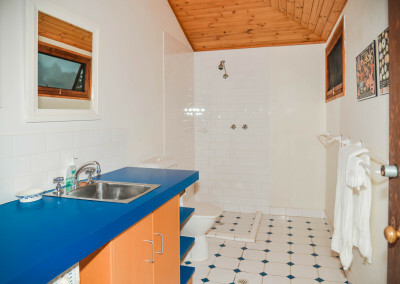 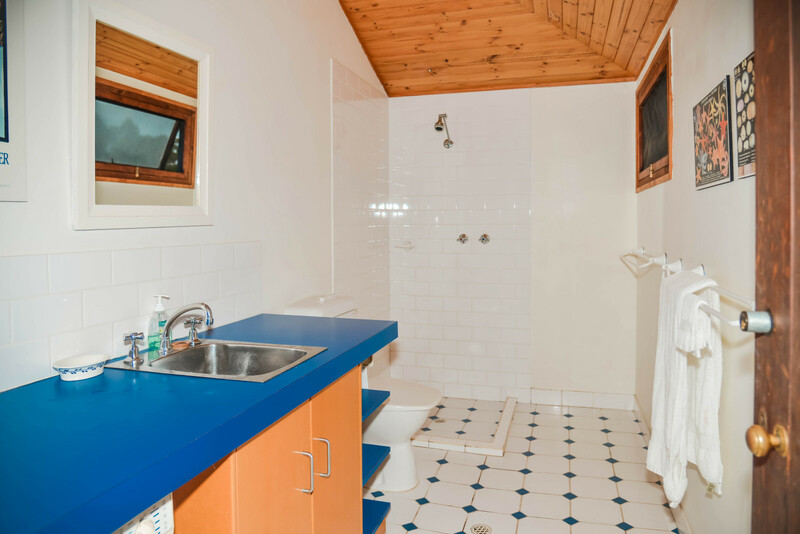 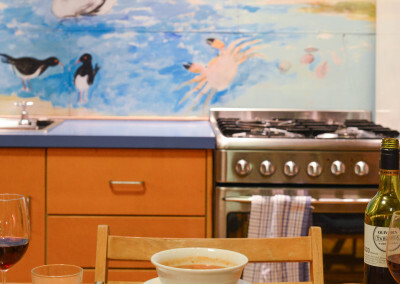 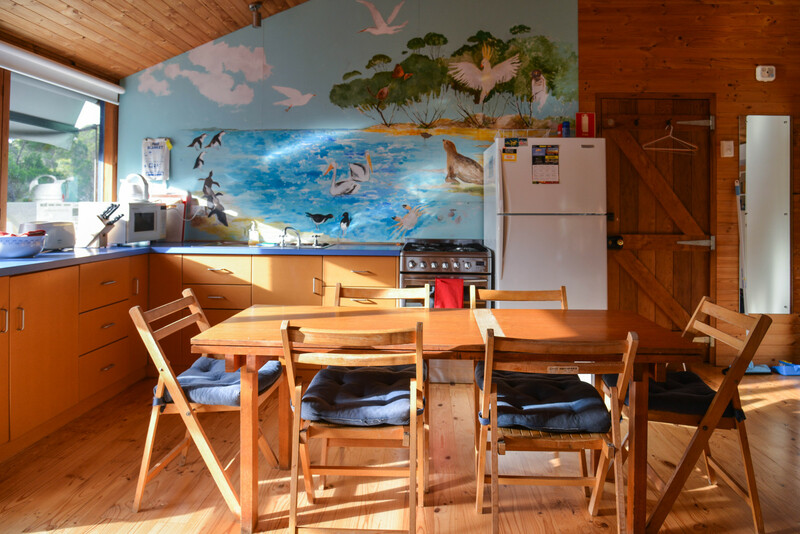 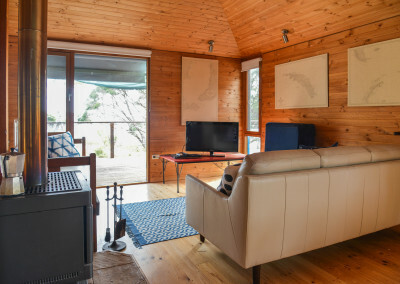 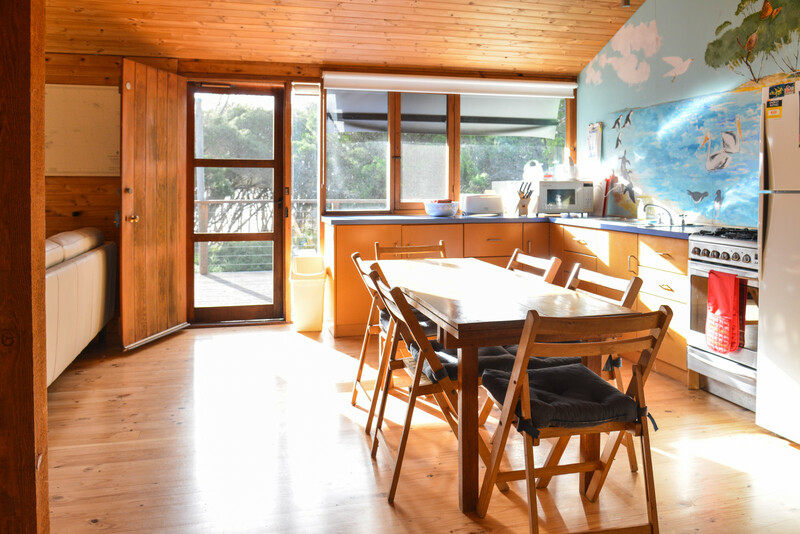 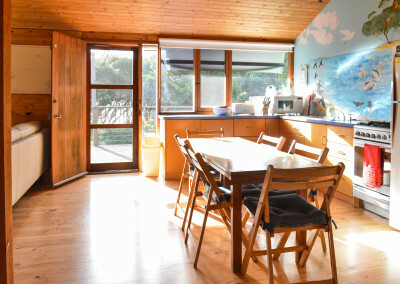 A fully kitted out kitchen with oven, fridge, microwave, cooking utensils, cutlery, crockery and glasses make this comfortable self-catering accommodation for enjoying everything that Kangaroo Island has to offer. 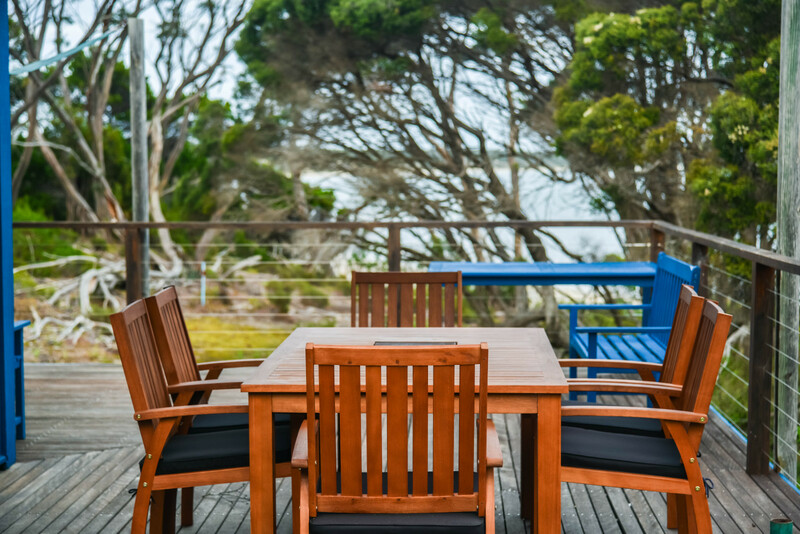 Large windows give you a constant view of the ever-changing colours, light and climate that characterise this beachside location. 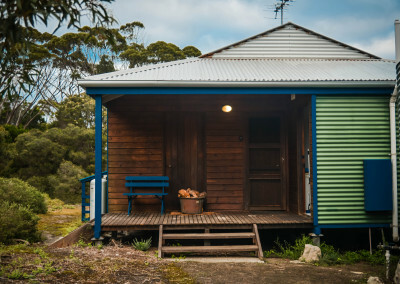 But what is really special is that you are nestled in the Australian bush, with no neighbours in sight, visited only by wildlife, such as the occasional kangaroo that hops by at dusk. 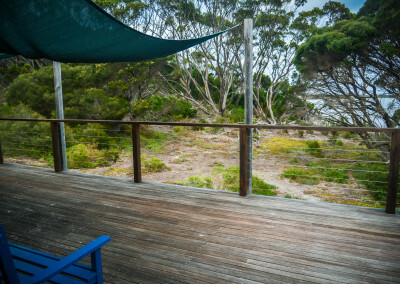 The wide deck is great for waking up over breakfast coffee, having a meal at anytime of the day, or drinking your favourite cocktail watching the sunset. 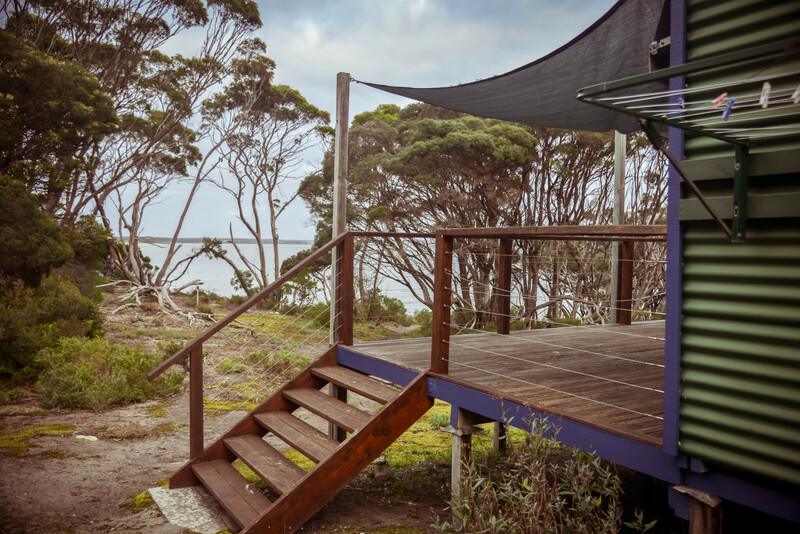 Yes, there’s nothing like a sublime Aussie summer’s day on the beach, but Kangaroo Island is gorgeous throughout the year. 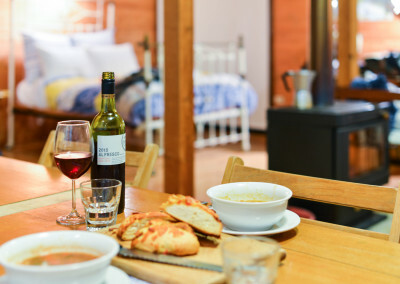 Brisk walks along the beach or exploring the local area during the day, then relaxing over a leisurely dinner with the warmth of the wood fired stove are hard to beat. 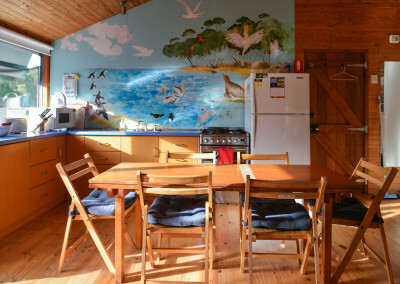 Whilst we do love pets, we’re sorry but we have a no pets policy at Georgina’s Place.